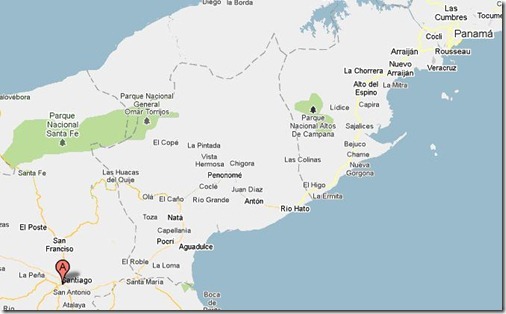 It was a very cool morning at 5am when I was picked up to begin the journey to Santiago Panama, approximately 3-4 hours to the west of Panama City. The drive itself was relaxing. Leaving the city while it was still dark, watching the morning dawn break into the skies, I found some of the stress I carried rolling off my shoulders. Just getting out of the city was a stress relief that surprised me. I focused down on mentally preparing myself to teach the 12 students expected to gather at the principal church for the Foursquare denomination in Santiago. I had been asked to teach on the Role of the Holy Spirit in Evangelism, one of the most popular seminars I have. Evangelism as understood here has been focused on the conversion event — getting the decision. There is enormous, but unspoken pressure, to get a decision and get it now. However, what my teaching brings is the awareness of the entire faith journey and all the moving parts in the evangelism story: the conversations, the sermons, the invitations to church, the drawing of the Holy Spirit. I help people see the process of evangelism and have updated the teaching to help people think through their own process of coming to faith. As class began, I listened to their stories. Each one had an amazingly unique journey to faith. One man was interested romantically in a girl. She invited him to church. Over several weeks of taking in sermons, he felt his need for Christ and one day accepted that invitation given at the end of every service. Another woman had a teenage daughter going to church. She watched the life transformation happen in her daughter. That made her want to study the Bible herself. So she invited some Jehovah Witnesses who showed up at just the right time. But after a few bible studies with them, she was more confused than ever. She asked a Christian neighbor (also a stay at home mom) to help her. Over several weeks of informal conversations, bible study, and lots of coffee, her questions about God began to be answered. Before even attending church, she responded to God’s offer of grace and became a Christian. A third one visited church the day a foreign missionary came. The preachers message hit right on target in her life and she surrendered her life to Christ that day. I heard 12 different stories, 12 different journeys, 12 different spiritual needs, 12 different places of surrender, 12 different spiritual thirsts that drew people to start following Jesus. They provided ample material to see the process of evangelism at work. Not one of them came to faith after the fixed gospel presentation that they were all trying to use on other people. This is part of the richness of God’s work. This class of 12, along with another class in a outlying village, are coming together to launch a regionwide community ministry that will provide medical care, parenting development, family counseling, and other outreach activities. This is exciting as it seems that several churches will cooperate to launch something. This doesn’t happen often in Panama (based on talking with long term missionaries and lots of pastors), so this seems to be truly God’s working. They see that my teaching will help them have more frequent conversations with people while they are doing their mission in the community. Their next development meeting is in July and I look forward to hearing the outcomes and mission that they are working on. Join us in prayer for this weekend’s teaching. I’ll be traveling to Santiago Panama to give an evangelism training in a missions school. It’s about 3-4 hours to to the west of the city. Beautiful, but long drive. Pray for safety, provision, and effectiveness. We live in the upper right corner, and driving along to the Red A.
I’m not sure yet of the class make up, but I’ll be teaching on the role of the Holy Spirit in Evangelism. Tent Making through product sales and speaking fees in the US. Your partnership with financial help through PRMI enables us to serve here and throughout Latin America where resources are scarce. Currently only at 35% of budgeted need. Our current reality is that pledged support each month and expected product sales is only at 35% of our need. We’ve still got a lot of fund raising and new product development to do. We keep praying that we’ll make an impact where we live, planting a church that plants churches. It’s not easy work by any means. We’ve walked through seasons of stress like we never had before. But in the end, is it worth it? By all means. Your partnership not only helps us in this church plant, but is helping us train other pastors and leaders throughout Panama and Latin America. As we step into the summer, would you consider making a gift or joining our team on a monthly basis? We invite you to consider joining our team on a monthly basis to help us cover the 65% need that we still need to raise. We look for monthly gifts of $25, $50, or even $100. Some are able to share over that. $500 currently provides rental of a hotel room for one church service. $500 provides an airline ticket to give training in another country. $400 provides a day long seminar in Latin America for pastors. $250 provides training for a church in a evening meeting. $700 provides health insurance for one month for our family. $100 provides a month’s access to virtual training for pastors around the world via the internet. Dowload the Donor Response form to print out (Box to the right) and mail to PRMI, or work through the steps of donating on line. I’m working on a simple paypal button from PRMI, but for now, you’ll have to use ACS. Many of you support our work not only with your monthly gifts, but buying our stuff. 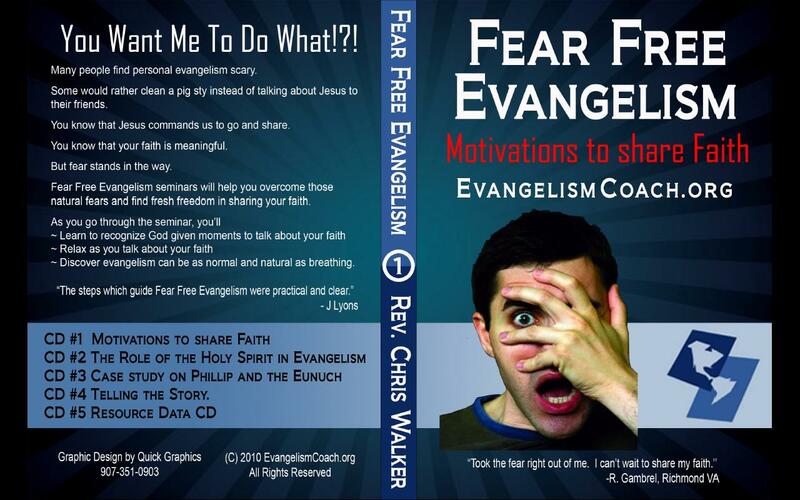 On June 15, I’m launching the CD set of the Fear Free Evangelism Seminar. The 5 CD set will be printed and shipped to your house. Many of you have encouraged me to do that, and that day is here. My 6 hour seminar has been condensed to 5, plus a resource CD that contains additional audio teaching on personal evangelism, handouts to print, and a study guide. Base package pre-sale $39 plus 8.95 Shipping. Gold Verison $100 + shipping. Some of you may want to give over and above, so I’ve given you that option with the other versions. There is no special distinction between the versions. Funds are collected at purchase, product will be shipped to your door on June 15 when it is live. 100% of the proceeds benefit our work here in Panama. This post will come down on June 15. 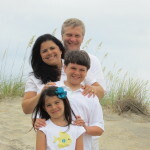 Here is the latest video that we are using for our minute for missions this summer. If you’d like us to do a minute for mission at your church, we can record a video one for you, or even do a live one via skype if you have skype capabilities in your sanctuary.